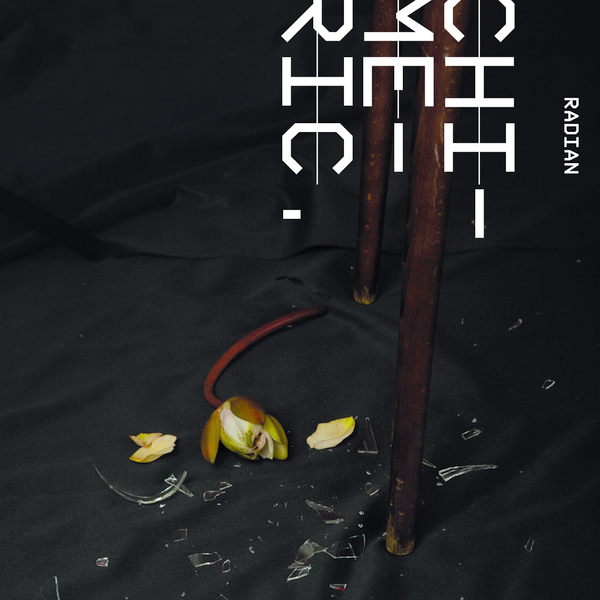 The mighty Austrian avant-rock group Radian return for an ear-shatteringly raw new album, sprinkled liberally with noise and digitally disordered improvisations. 'Git Cut Noise' starts off in spluttering chaos, sounding initially like a construction site only to escalate towards a more coherent racket, a little like a sandblasted version of John Murphy's theme from 28 Days Later. The album seems to reboot for 'Feedbackmikro / City Lights', shifting into a more hushed, jazz-themed mode that creaks into life via intricate percussive work with deep, enveloping bass before eventually lurching into bright plumes of amplified noise and offsettingly tuneful vibraphone tones. Here Radian sound like a surly, industrial version of Tortoise, and the depth of sound is every bit as immersive as the noisy textures are grating. The album's title track is probably the most propulsive of al the tracks, always anchored in a flickering sense of movement that's often rather harsh on the ear but always seems eloquently musical. 'Kinetakt' once again calls upon Martin Brandlmayr's incredible drumming onslaught, heavily intermingling his kit sounds with fierce electronic convulsions before finally, 'Subcolors' permits a little cleaned-up consistency, stretching out over nine minutes of tightly constructed post-jazz that's halfway between Triosk and The Necks. Excellent.